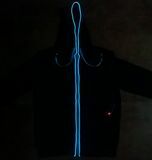 Neon flashing sweatshirt with headphones unique lighting hoodie ideal for party, disco or any oder occasion. 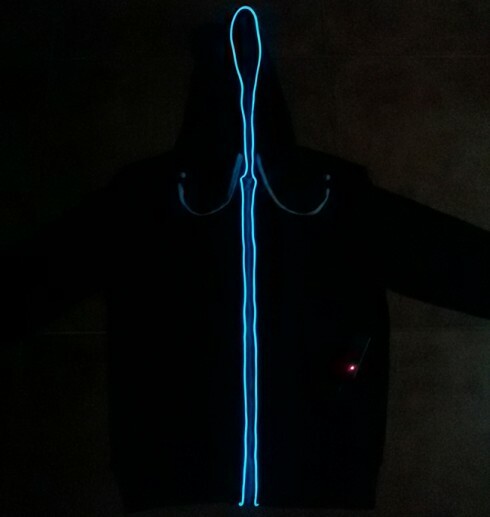 Perfect glowing effect. 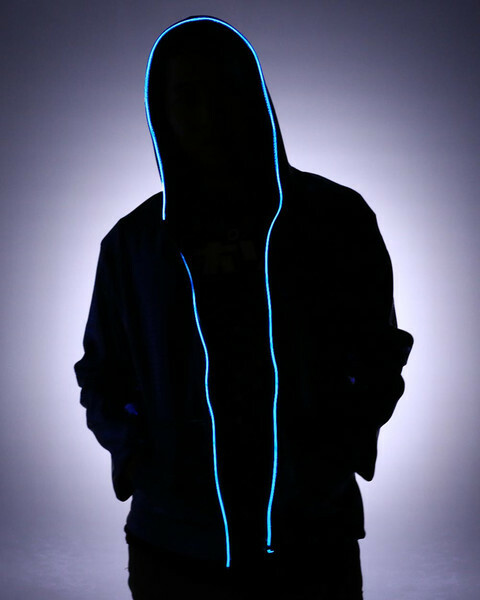 LED sweatshirt with headphones, with which you will surely shine a will be the central point of attention among friends wherever you are. 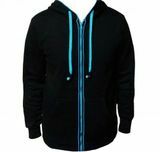 Each is lined with neon thread that is around whole zipper and hood, so you have the right party Tron - style. You do not have to worry if you forget headphones at home, you have them right on the sweatshirt. 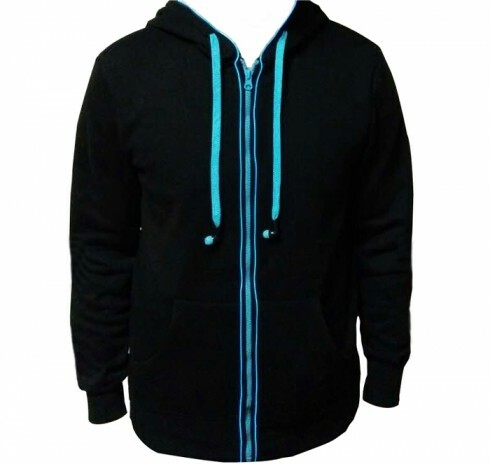 These headphones go out from laces, where the classic jack is on the internal right side of the sweatshirt. You can listen to music without the wires sticking out from somewhere like at the conventional headphones. Ideal for use in discos, clubs, at a party or festival, and is the right investment for you if you want to get attention and especially to be cool. You can select various modes of lighting - fast flashing, slow flashing and permanent flashing. It is the possibility to regulate the speed of rotation of colors.